We initially wanted to use LED lights in our garment but wanted it to be functional not just aesthetically pleasing. We had two ideas to begin with: 1. a garment (dress) with motion sensor LED lights, when you move past the sensor the lights will turn on. 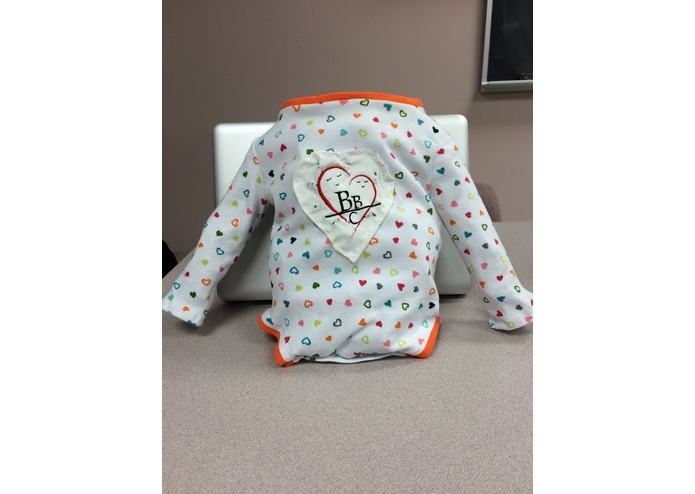 2. onesie to monitor temperature and heart rate of sick baby. We combined our two ideas into a product using the best of both parts and came up with a product that's aesthetically pleasing and also very functional. We've created a onesie that monitors a baby's body temperature with thermo-sensors and an Arduino, coded to trigger LED's woven into the onesie to turn pink if the baby's temperature goes above 100.4 degrees Farenheit. It will also alert the parent when the child has an unsafe heart rate either below 90 and above 150 beats/min. -Women between the ages of 25-40 -Pregnant or already have children -Attended college or higher -Stay-at-home or working -All ethnicities -Single or married parent -Hospitals are also a target market. They would be able to use our product on newborns to make sure their temperature and heart rate stayed at a normal rate without having to hook them up to machines. 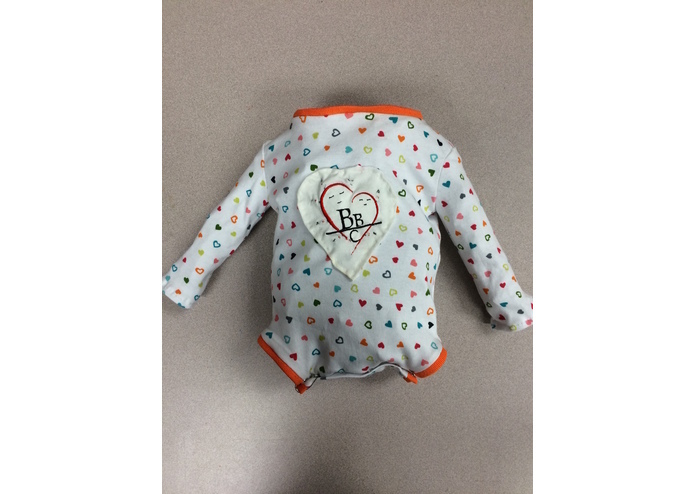 Our product is relevant because instead of taking your baby’s temperature or monitoring their heart rate every couple hours when they are sick, or first born, you can have them wear our garment. Parents will constantly know if their baby’s temperature or heart rate is at a safe level, for a peace of mind.